In-person gatherings have always been an important way to grow faith and foster a sense of religious community. And although it may seem like there is less of an appetite for religious events in today’s online world, that’s simply not the case. In fact, Eventbrite recently saw the number of religious events in the U.S. almost double over the course of a year. 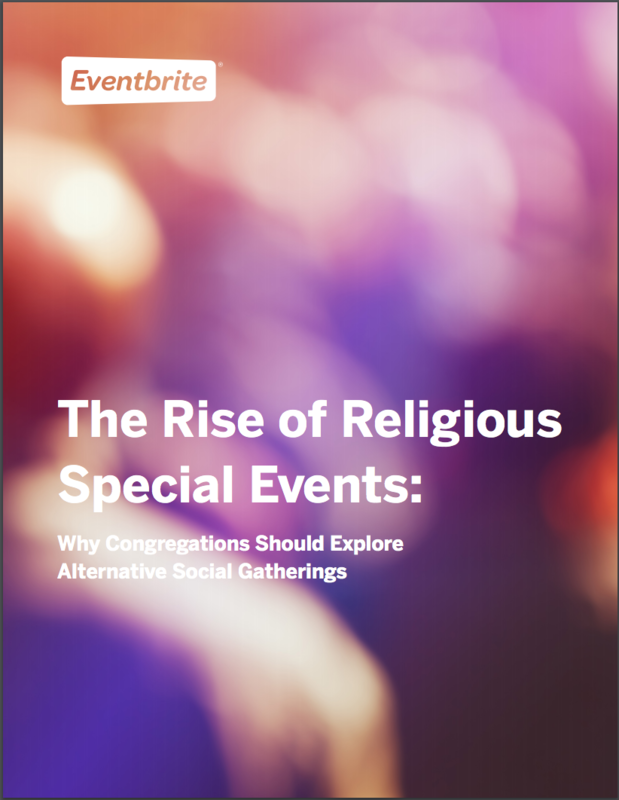 To better understand the opportunities presented by this religious events boom, we talked to 1,000 people who attended religious events in the past year. What we uncovered may surprise you. Eventbrite is the world’s largest self-service ticketing platform, hosting a vibrant collection of live experiences to fuel people’s passions and enrich their lives. Organizers use Eventbrite to plan, promote and sell tickets to events of all sizes, while event-goers can easily find and buy tickets to events that match their interests. Interested in innovating with Eventbrite to grow your next event? Simply fill out the form on the right or call (855) 397-3741. For questions about this research specifically, please contact religion@eventbrite.com. National survey of 1,000 US respondents who have attended at least one religious special event in the past year (excluding weddings, baptisms, and funerals). Survey conducted via SurveyMonkey Audience and completed May 2015. Analysis of Eventbrite events occurring from 2013-2014, classified as religious.